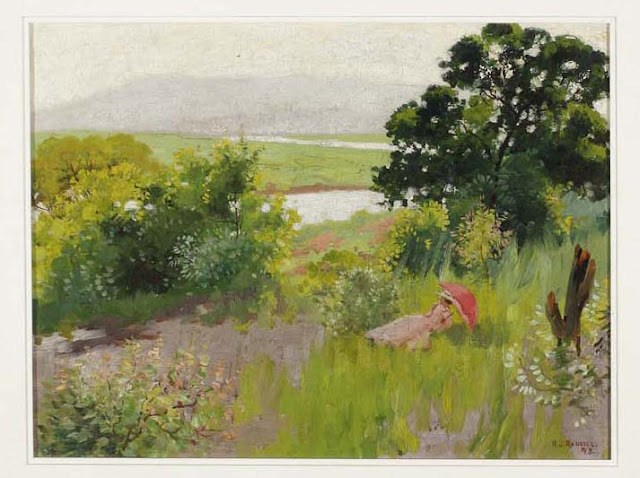 Richard Randall, painter, had a short but productive life. Although aged only 36 at the time of his death in 1906 which followed a fall from a horse, the Brisbane-born Randall had produced a large volume of his own work, and as a teacher was instrumental in establishing an art scene in his home town. Richard Randall was born in South Brisbane in 1869, the son of George Randall who was a well-known and successful businessman. It appears that George was supportive of his son's artistic efforts and was prepared to underwrite Richard's travel and study overseas. George Randall also became an emigration agent for Queensland, and his extensive contact list was also beneficial to Robert who was able to paint portraits of many distinguished people. Richard Randall returned to Brisbane from working in England in 1899, apparently at the request of his father who thought that Richard should promote art in the colony. Richard set about establishing a studio in South Brisbane in which he could work and teach. The resultant building was modelled on studios he had seen in England, and it featured large windows and a skylight that were fitted with blinds to control the light. After Richard's untimely death his father George gathered up as many of his works as he could and donated them in trust to the South Brisbane Council. They were held for a time in the South Brisbane Library and then moved to Brisbane City Hall. They remain at City Hall as part of the Museum of Brisbane. The studio has had a checkered life. Brisbane's much-awaited Expo required extensive resumption of property in South Brisbane. For a while the studio was threatened too, but it was bought by the Brisbane City Council and thus saved. 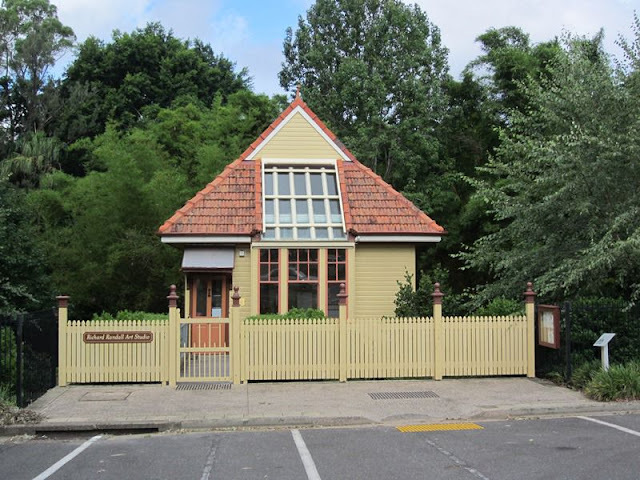 The upper part of the studio was kept and relocated to Musgrave Park in South Brisbane, but here it was subject to vandalism; so it was moved again, this time to the botanical gardens at Mt Coot-tha where it can be seen today. It is listed on the state heritage register.